In the spirit of Halloween, when traditionally styled gravestones are popping up on lawns everywhere, I offer the real thing. 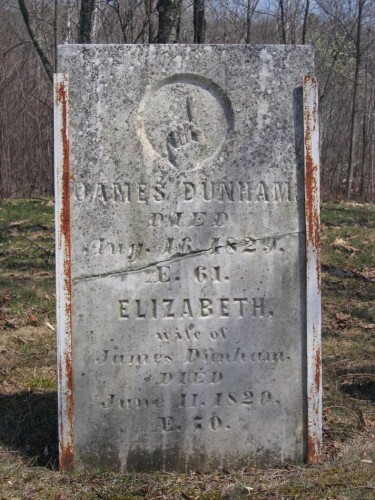 Through the magic of findagrave.com, which contains some 65 million cemetery records, I found today photographs of headstones of several early Maine relatives, including the gravestone of my 4th great-grandparents James Dunham (1758-1829) and Elizabeth Robbins (1758-1820) from the Carmel Village Cemetery in Carmel, Penobscot, Maine. I love the symbol of the hand pointing to the heavens. The town of Carmel was incorporated June 21, 1811, previous to which it was known as Plantation No. 3, in the third range. 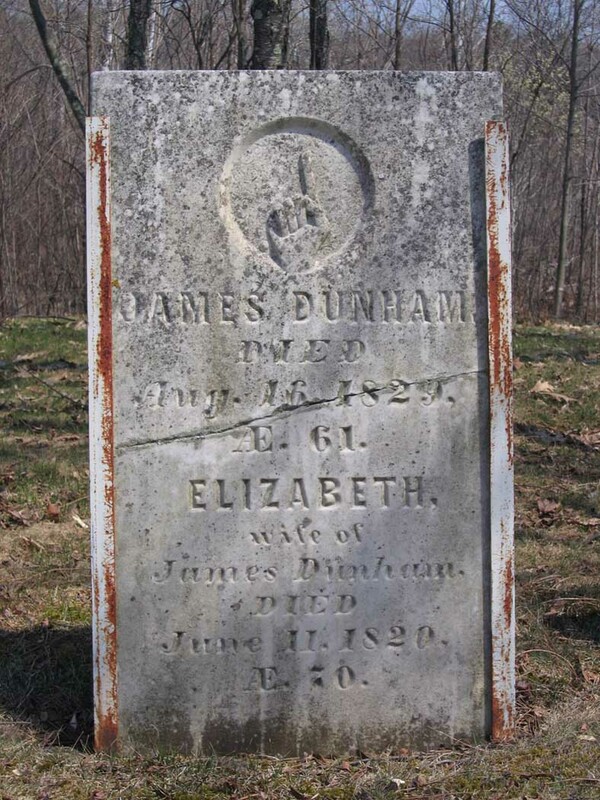 The records begin with the report of the meeting held March 2, 1812, at which meeting James was elected field driver. Every field driver shall take up horses, mules, asses, neat cattle, sheep, goats or swine going at large in the public ways, or on common and unimproved land within his town and not under the care of a keeper; and any other inhabitant of the town may take up such cattle or beasts so going at large on Sunday, and for taking up such beasts on said day the field driver or such other inhabitant of the town may in tort recover for each beast the same fees which the field driver is entitled to receive for taking up like beasts.